Israel China Culture Business Promotion Center is an Israel China cooperative organization established in 2005, specializing in culture exchange, academic research, business consulting, market development, investment and acquisition between Israel China and World, we have 13 years successful experience with Israeli public company and government organization, including business partners, entrepreneurs, investors, innovators, experts, artists, educators, we help Israeli and Chinese company for their global placement and market entry, especially in high technology such as Life Science，Advanced Agriculture, Clean Energy, Electric Power, Artificial Intelligence. With 4 offices in main city of China and hundreds distributor structure, we offer foreign company and organization a reliable, high-quality alternative to in-house resources for business exchange, service outsourcing, channel development, sales and marketing, especially assisting high-tech companies to enter Chinese market and represent their China operation, we also focus on venture capital and PE investments in high-tech JV companies with a "China Angle". 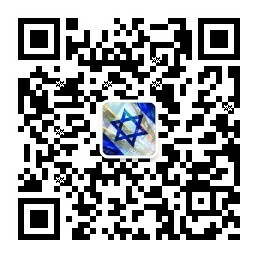 We will cooperate with more party to develop long term Israel China relationship. Culture Thinktank 文化智库: Performs research and advocacy concerning topics such as social policy, political strategy, economics, military, technology, and culture. Influence corporate China to initiate closer engagement with foreign country, increase awareness and understanding of China in foreign country, and of foreign country in China. Enhance and strengthen links between China and foreign country, in the priority areas of culture, business, technology. China Representative 中国代表处: Represent partner in China, create and manage a range of internal and external stakeholder relationships, broaden and strengthen links with multipliers, government organizations and existing investors. Research the market to identify trends and prospective investors, distribute key messages and intelligence, assist in the formulation, planning and implementation of partner's China strategy, investment and acquisition. 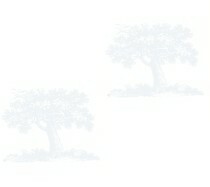 Operation Management 运行管理: Represent partner as extension of its business development and market development functions. Beginning with complete understanding of partner's situation, objectives, and constraints, recruit and manage its employee in China, sift through new market developments and new opportunities as is appropriate to it, represent in initial talks with possible allies, vendors, channels as well as procurement service. Project Consulting 项目咨询: Proposed and billed on a per-project and per-milestone basis, project consulting offers partner a way to introduce their products and to solve specific problems. Consulting Specialists assist with design, layout, specification, selection, helping foreign partner to implement specific project and carry out after service in China. Market efforts with partner: Design and improve literature for exhibition and seminar, plan and execute nameplate brand communication program, customer and competitor analysis, ally balance. Distribution improvement: Implementation of sales objective in dealership using his resource, prepare with distributor training and employee training, assist distributor in various topic. Specific branch promotion: Directly approach to end-user in specific area and specific branch, establish adequate contact with key customers, build up long term relationship, follow up customer and projects, achieve the business objective. Office: Shanghai City, Beijing City, Wuhan City, Guiyang City. Tel: 0086-13501825586 0086-21-51096325. Email: info@israelchina.com.cn.